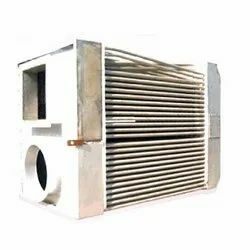 Manufacturer of a wide range of products which include aph ibr erw tube, air pre heaters tubes and air pre heater. PUSHPAK is one of the leading manufacturers for APH IBR tubes. We cater to a huge customer base spread across various industrial sectors. Air Pre-Heater (APH) Indian Boiler Regulation Tubes are manufactured in a wide range to meet the desired customer specifications. These tubes conform to national and international standards such as SA 214, BS 6323, BS 3059, ASTM A 423. Straightening and 100 % Eddy current testing ensure quality and fitness for required application. Hydro testing (for IBR tubes only) ensures the strong weld strength to withstand required high pressure. PUSHPAK is one of the leading manufacturers for APH & IBR tubes. 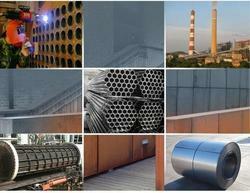 We cater to a huge customer base spread across various industrial sectors. Air Pre-Heater (APH) & Indian Boiler Regulation Tubes are manufactured in a wide range to meet the desired customer specifications. 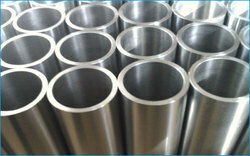 These tubes conform to national and international standards such as SA 214, BS 6323, BS 3059, ASTM A 423.